Dear Aspirants, Today we are going to review a book for upcoming APSC CCE. Yes New Assam Year Book 2018 by Er. Sakir Alam that contains almost everything about the state Assam and its neighbor states. With huge collection of data about history, geography, economy, polity, literature, language, culture etc. this book is really a must read book for beginner as well as advanced readers. This is the only year book available online. The year book by Shantanu Kaushik is also good, but the fact is that the year book does not contain lot of facts related to polity, economy, geography or history of Assam. Due to lack of important information useful for various examinations we do not recommend this one. So an aspirant should not depend on Shantanu's year book for competitive exams. Honestly if I say there are so many mistakes or repetition of data in almost every year book published til date. Also New Assam Year Book 2018 by Er. 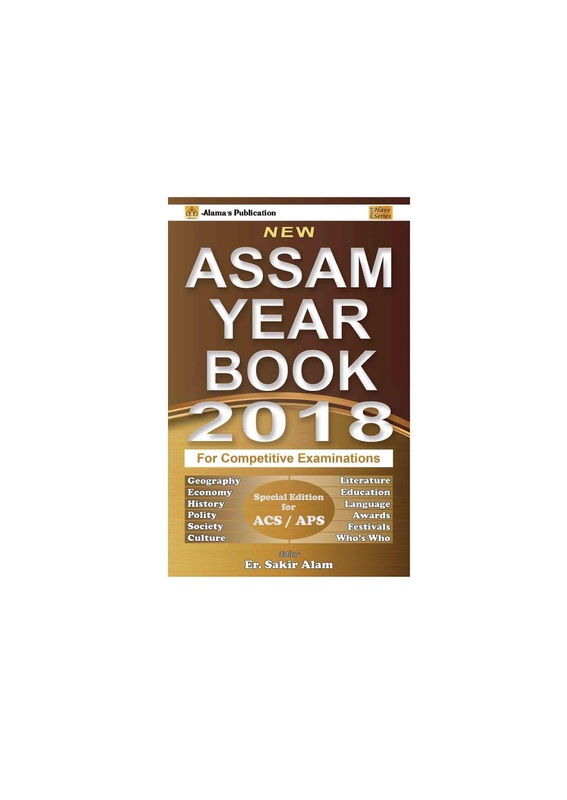 Sakir Alam is given as freebie with APSC guide Book if Purchased online. Check here.The year book is available to purchase on Amazon.in. Click to visit product page. Hope this will help aspirants supposed to be appeared upcoming examinations. I am reading the book since few days. It's interesting and really contains so many useful information. But the book contains few repitative data. Hope in next edition it will be fixed. Really must read book. How we can get this book....??? ?